Nicky Wells writes captivating romance and breathtaking thrillers featuring famous (or infamous!) feisty heroes and extraordinary villains. ERASED is her ninth book and the second novel in her “Wake Up Dead” themed thriller series. 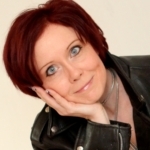 Nicky has previously published seven works of romantic fiction and one thriller through various channels, including US publishing house, Sapphire Star Publishing; UK publisher, Choc Lit; and independent publication. In a professional capacity prior to pursuing her author career, Nicky spent several years working as a researcher, writer and editor for an American HR consultancy based in Washington, D.C. and London. In a professional capacity, I have given presentations of written work I created and/or edited to audiences of up to 200 HR executives. As an author, I have hosted book signings and conducted live performances (readings and singing) in shopping centres and art galleries. I am a trained teaching assistant and used to running workshops with children and adults.